Installing VWO plug-ins for your Drupal sites helps you create and run VWO tests without writing a single line of code for integration. When the plug-in is integrated, you can create unlimited number of tests from VWO without any page tagging. For Drupal 7, download the plug-in here and unzip it. For Drupal 8, download the plug-in here and unzip it. 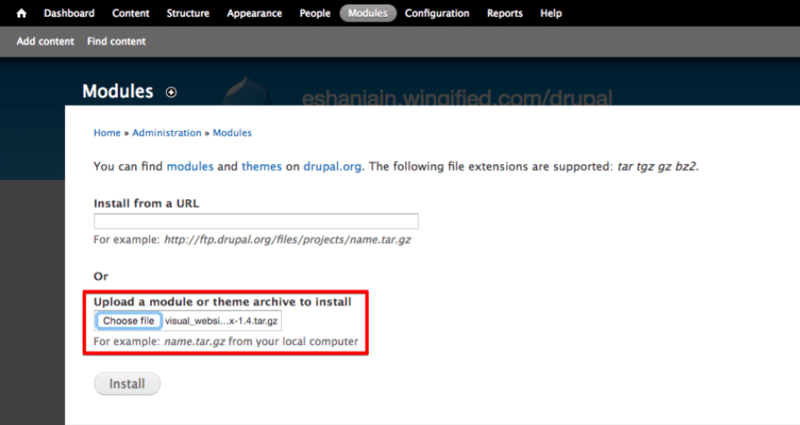 Login to Drupal’s admin panel and navigate to the Modules section. On the next page, upload the VWO plugin downloaded earlier and click Install. Once the plugin is installed, you will see the successful installation message. On this page, click Enable newly added modules. 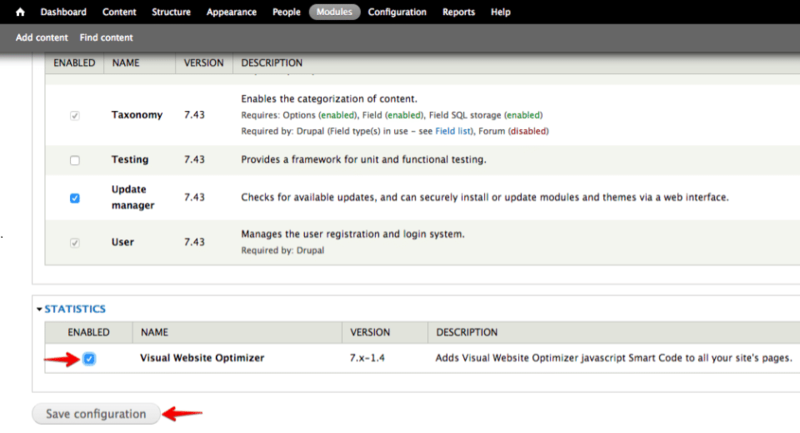 Select the check-box next to the Visual Website Optimizer module and then click Save configuration. The VWO module will now be installed. After you install the module, a message displays asking you to configure your VWO plug-in. Follow the link and enter your VWO account ID in the VWO ID Number filed. Click Save configuration. 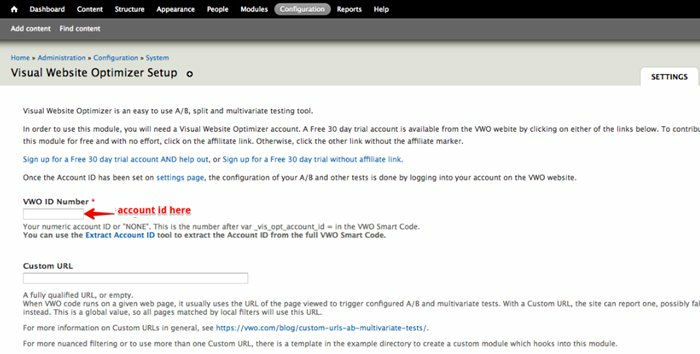 Your website is now integrated with VWO, and you are all set to create VWO tests.